On a worldwide level, it’s estimated that up to 90 percent of all school children and nearly 98 percent of all adults have dental cavities. Furthermore, up to 20 percent of all middle-aged people have periodontal (or gum) disease and about 30 percent of all senior citizens are without any of their natural teeth. 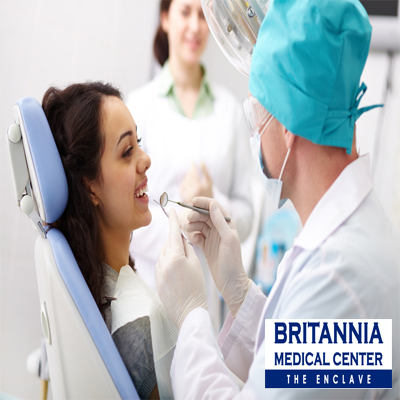 Needless to say, teeth cleaning and preventive dentistry is important to good oral health in terms of keeping cavities at bay and your gums and teeth clean and healthy. You should be brushing your teeth at home at least twice a day and flossing at least once a day. In addition, you should also be seeing a dentist to have your teeth professionally cleaned at least once every six months, not only to remove tooth stains and whiten your smile, but so your dentist can interrupt and correct any early signs of gum or bone disease that you may be experiencing. Like most conditions, early detection is key to solving the issue successfully. Additionally, one thing that many people aren’t aware of is how poor dental health can impact you beyond just your smile. It’s a fact that people with dental problems are also more likely to develop diabetes, cardiovascular disease and even Alzheimer’s Disease. So while clean teeth are good for your mouth and your self-esteem, good oral health is important for the rest of your body. For more information on the importance of regular teeth cleaning and preventive dentistry – and to schedule your next teeth cleaning – For more information make an appointment by calling 0925-567-5329 • 0908-865-5662 • 0917-566-1932 • 458-0717 and schedule a consultation today. Remember, preventive dentistry is about a lot more than just a healthy mouth – but a healthy body as well. December 26 is historically one of the most dangerous days of the year for people vulnerable to cardiac problems, including heart attacks, arrhythmias, and heart failure. And many of these so-called Merry Christmas coronaries will hit people who didn't even realize they were at risk when they unwrapped their gifts the day before. But the holiday season isn't good for heart health to begin with. 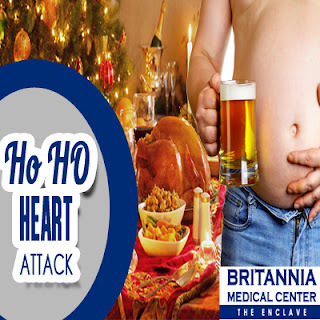 Britannia Medical Center - The Enclave found that heart-related deaths increase by nearly 5% during the holidays, perhaps because patients delay seeking treatment for heart problems. Excessive drinking can trigger atrial fibrillation, a form of irregular heartbeat. If it persists, atrial fibrillation ups your odds of suffering a stroke. "There are huge campaigns not to drink and drive during the holidays, but no one talks about the heart dangers,"
Extra money woes coupled with an already stressful holiday season can also be a setup for overindulgence. People don't have as much money, but they still need to spend. They're cutting back, but they're worried about the credit card bill on the way. With all this in mind, people might be drinking more than ever." Come Christmas Day, many people confuse the signs of a heart attack—like shortness of breath or chest pains—with indigestion from a big dinner. And while you may be apt to play it safe on any other day, hauling yourself down to the hospital may seem like too much of a hassle on a big holiday. Instead, many people ignore the telltale signs of a heart attack until they wake up on the 26th, still feeling that discomfort. But by then it may be too late. "If you're having a heart attack, studies show that you can't wait longer than 12 hours to be treated," So if you wait until December 26, you may be playing with your fate. Patients with heart failure who are following a low-sodium diet need to exercise extra caution this Christmas. Experts say that these people may choose not to live within their everyday rules, opting to partake in holiday over indulgences instead. Heavy meals, too much salt, and excess alcohol can all exacerbate heart failure. "Ultimately, though, it's the patients who are going to decide what to do." But everyone, not just heart patients, can benefit from watching what they eat. "We need to try to stay healthy through the holidays, not wait until January 1,"
"You can't keep your resolution if you don't live through the holidays." 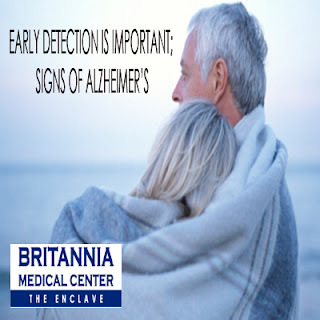 For more information on Alzheimer's Disease make an appointment by calling 0925-567-5329 • 0908-865-5662 • 0917-566-1932 • 458-0717 and schedule a consultation today. The holiday season can be busy with travel and visits from family and friends who might not often see one another. This time together may raise questions about a person’s physical and cognitive health. 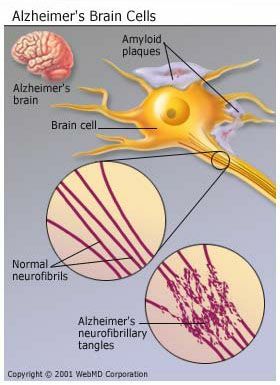 Although some change in cognitive ability can occur with age, memory problems that impact daily living are not a part of typical aging. Recognizing the difference between typical aging and potentially more serious problems can help identify when it may be time to see a doctor.